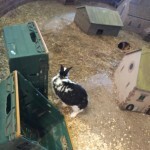 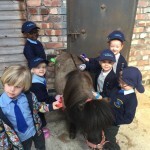 Today we had lots of fun at Farmer Ted’s. 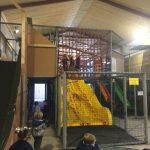 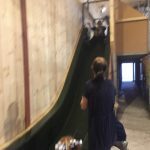 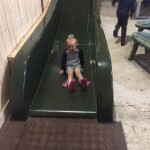 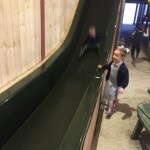 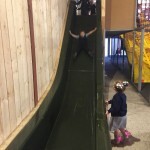 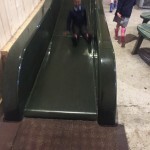 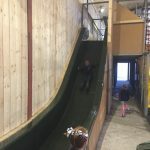 We started off in the climb and slide where we had lots of fun going down very big slides in the indoor play area. 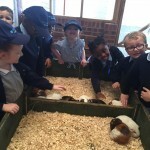 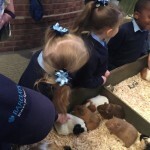 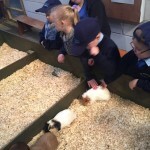 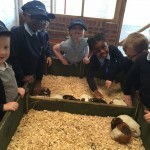 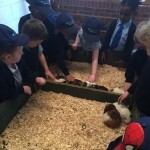 We then went to meet the Guinea Pigs. 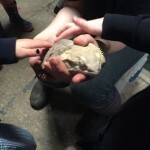 We were allowed to stroke them and look at their different patterns. 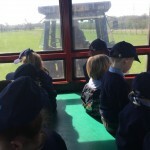 We then went on the tractor ride around Farmer Ted’s. 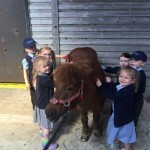 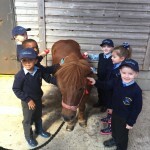 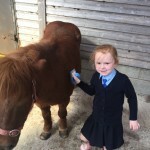 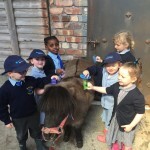 Pony grooming was next and the children helped to groom a pony and a miniature Shetland pony. 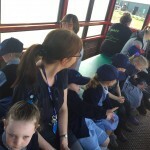 We then had lunch and a lolly-ice before having lots of fun in the outdoor play area. 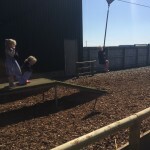 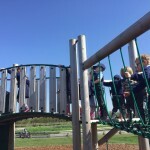 The children were able to play on the climbing frame, the go-carts and the sand pit. 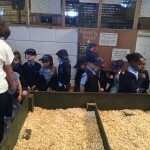 We then went to watch the Ferret racing where we had to cheer for the ferrets and see who won. 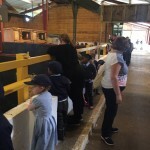 We then went and looked at all the farm animals. 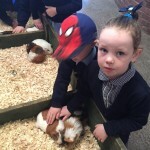 There were lots of animals such as cows, sheep, horses, llamas, rabbits, chicks, pigs, reindeer and much more. 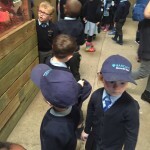 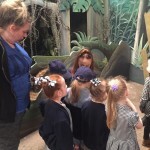 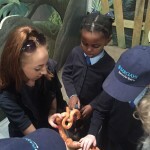 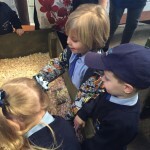 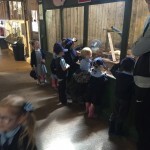 After that we went to see the reptiles and mini beasts where the children had the opportunity to stroke lizards, bearded dragons, snakes and even cockroaches! 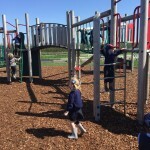 The children then played on the outdoor climbing frame and zip wire which was lots of fun. 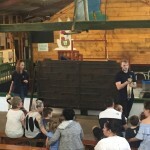 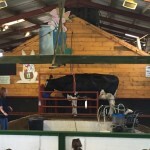 The milking demonstration was next and the children got to see Edna the cow be milked. 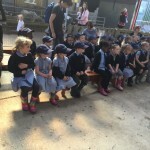 After that we played on the swings and the mini tractors before heading back to school. 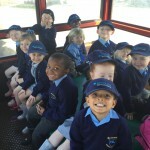 We have had such a busy day. 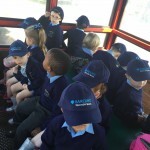 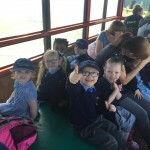 The children were fantastic on our school trip. 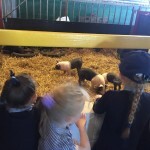 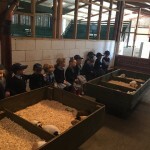 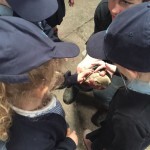 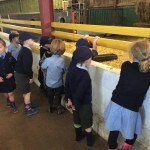 They followed instructions and listened to all the farmers who told us some information about the animals. 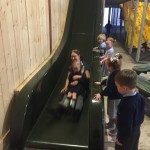 I hope the children enjoyed it.